Assemble Products are a fun and creative way to promote your business. Stick a penny in the front and watch them fly. Creative ideas like this are a great way to stay ahead of the competition. These products are printed in full-color on 14 point thick paper and UV-coated on 1 side. Assembly is simple and easy. 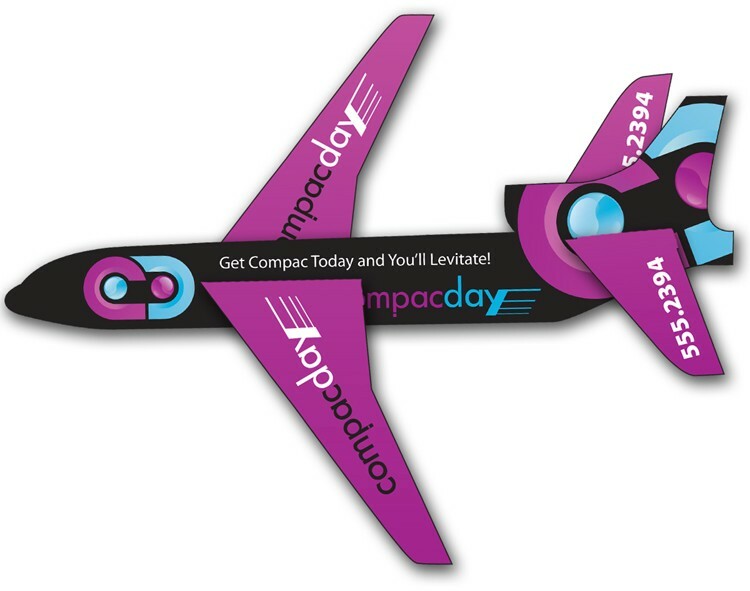 Here’s a best-selling flying promo for your movers and shakers! Our mailable airplane EVA puzzle measures 3.75” x 8.5”. Once assembled, 4.5” x 5.5”. insert a coin for flying! The EVA foam material gives long-lasting use as the plane will not break apart on impact, and it lasts longer than balsa wood planes. This little flyer is available in various colors, silkscreened or optionally digitally printed. 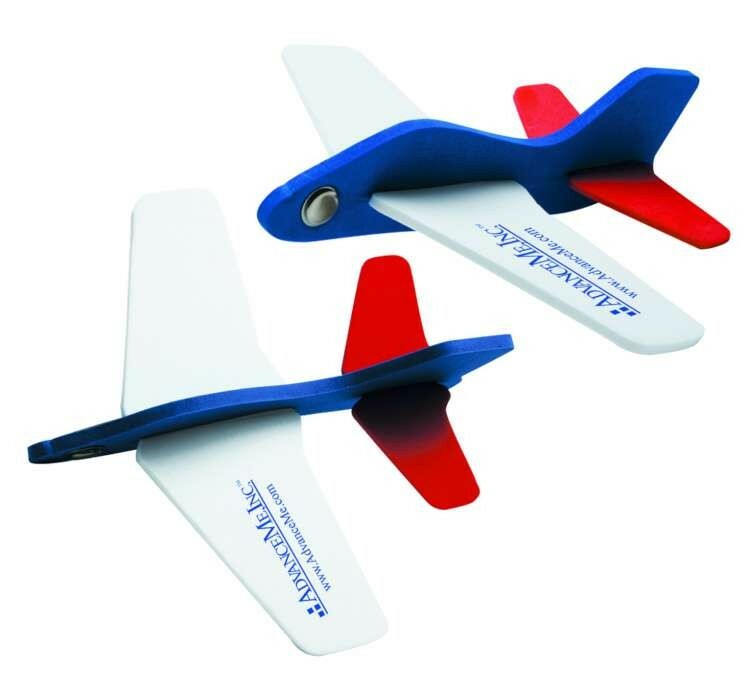 Our SOFT and SAFE Foam Super Glider is perfectly weighted for maximum flight capability. 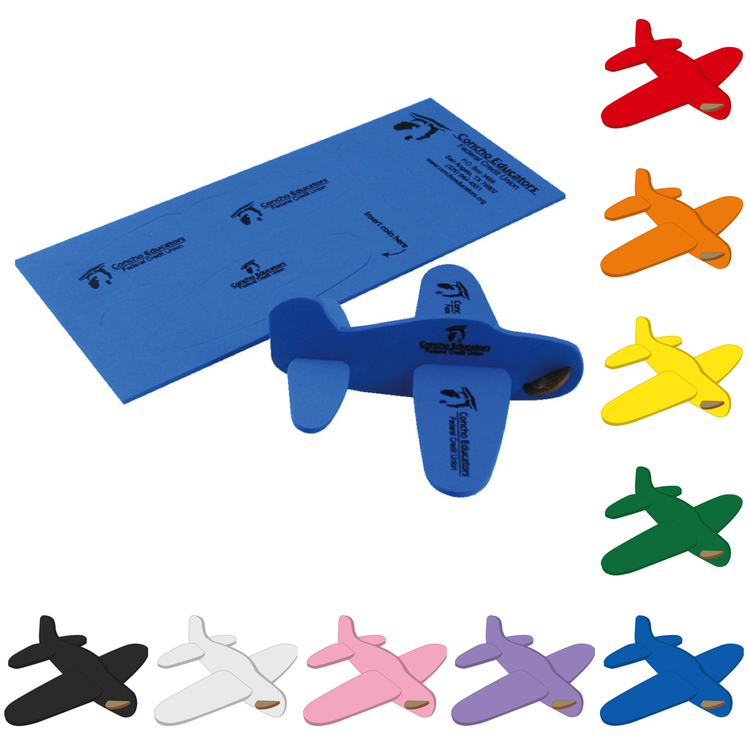 Give them out at trade shows, have flying contests at sales seminars, use them to promote sales contests or corporate service and safety initiatives and teach simple aeronautical principles. 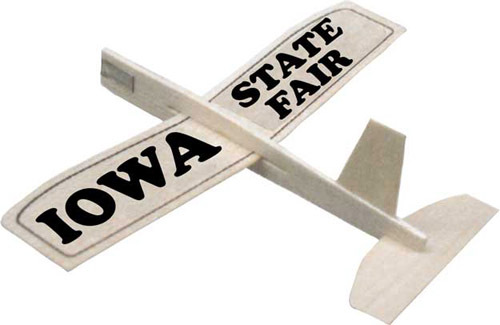 You can have some fun while also promoting your business with these cool Balsa Wood Gliders! For the Kid inches in everyone, these gliders have an 8 inches wingspan that can really take to the air. Made out of a durable balsa wood material you don’t have to fear it falling apart on you. 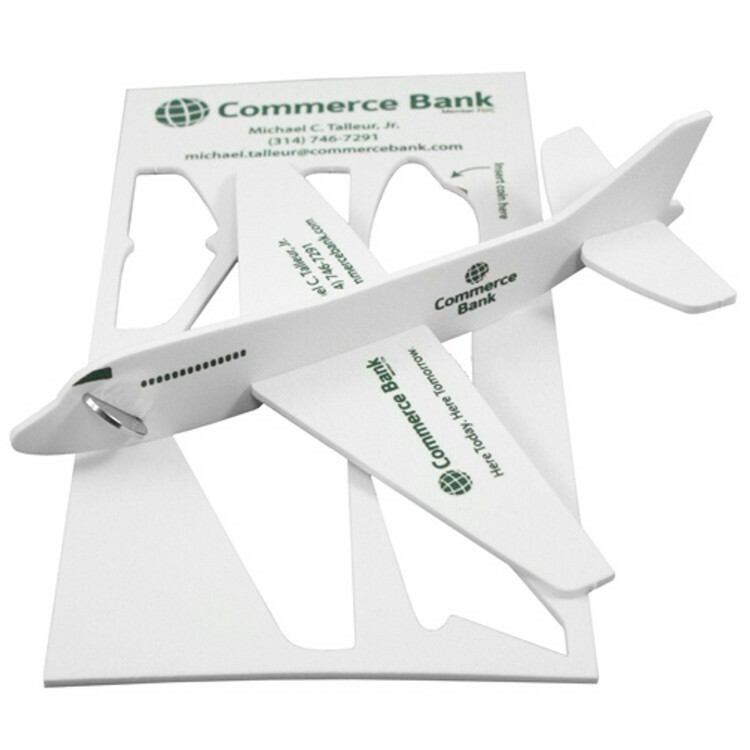 Another feature to the product is the ability to print a personal message or company logo through the printing capabilities..
Wow your customers with this completely mail-able puzzle airplane! This airplane is made from EVA foam and ships flat and compact. Once assembled, simply insert coin for flying. It comes in many color options with multiple imprint areas for your company logo and messages. Great for company picnics and tradeshow giveaways!